Today we speak to perhaps the most consistent player on the World Women’s Snooker Tour during the 2017/18 season. 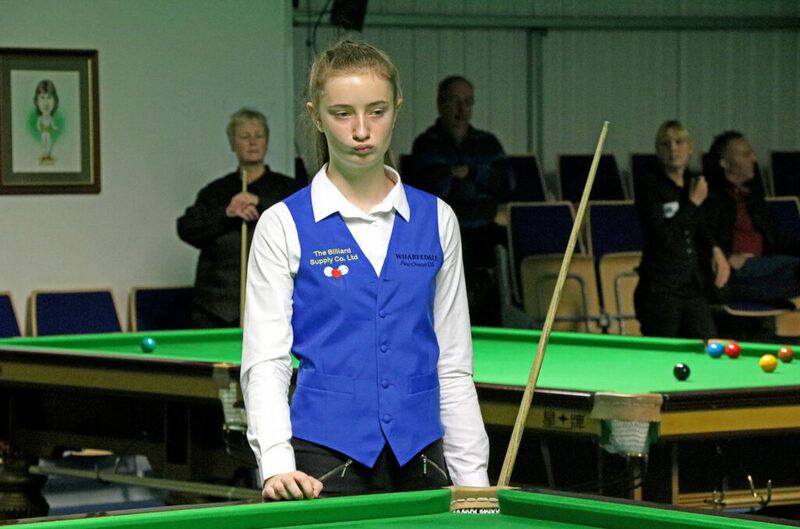 No, not 11-time world champion Reanne Evans or current snooker queen Ng On Yee, but 16-year-old Aimee Benn from Leeds who impressively was able to reach the last 16 at each of her tournaments during over the past 12 months, an achievement matched by only a handful of other players on the circuit. Hi Aimee, firstly congratulations on your recent win at the Otley and District Singles (handicapped) Snooker League title recently. Tell us a little bit about that and what it means to have taken the title? Thank you, it was my first season playing in the league which includes players of any age, any gender. I wasn’t playing my best snooker as I hadn’t had much practice since my GCSE exams, but I just kept getting further and further in the competition and I remember my dad saying to me once I reached the semi-finals that he was already proud of me for getting so far. I managed to win the title in the end which is such a huge achievement for me, as it built my confidence which I didn’t have to start with. My dad is a very competent snooker player and he has never won the event, so that makes me even more proud. 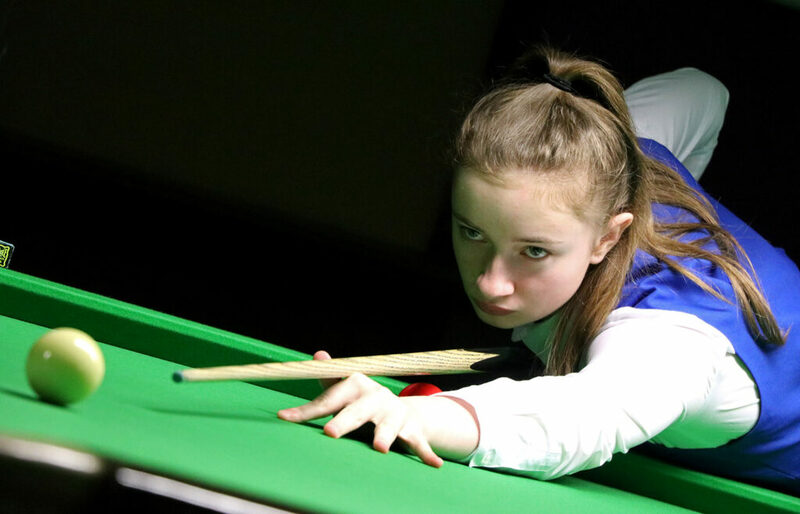 Looking back at your last season on the World Women’s Snooker Tour, you were extremely consistent, reaching the last 16 at all of the events that you entered. What do you put that consistency down to? To achieve consistency in matches, you have to be consistent in practice time, regularly repeating drills until they’re drilled into your head. Obviously, I’ve faced some tough opponents on the tour which more times than not I’ve fallen short against. It is 100% a learning curve for me as I know that I do need to be more consistent with the standard of my snooker, as well as raising that standard so that I can reach the latter stages of tournaments. Do you feel that you are continuing to improve as a player? Yes, I’m sure. Becoming a better player is what everyone strives for and when you keep achieving the little milestones like getting to the last 16 more times than not feels great. It shows me that I really am becoming a better player. You also finished the season ranked inside the top 10 for the first time, how special an achievement was that for you? Honestly, it feels great to be inside the top 10, but at this stage it doesn’t mean a lot to me as it’s not about the rankings for me personally. It’s about how well I play and improving my standard to compete more and more with the more competent players inside the top 10. What do you feel that you need to do to be able to take the next step and reach the latter stages of competitions? To reach the later stages of the competitions, I feel that I would need to put in a lot more work on the practice table to improve my standard enough so that there is a higher chance of me beating the top players than me losing to them. Also the more I gain experience in competing with the better players, the more I’ll be able to beat them to reach the later stages of competitions. You are getting used to competing against some of the best women players in the world like Reanne Evans and Ng On Yee. What can you learn from these great players? When you play the top two seeds, you get a lot from watching. Watching how they look around the table and get a feel for the pace, the spin, the angle. Watching how they break build by getting themselves into the easiest positions and thinking three shots ahead. Once they get into their swing, they’re unstoppable and it’s phenomenal to watch. You can see how you would play the shot, and if they would play it differently, that helps me to improve as a player. How much are you looking forward to the new 2018/19 season and returning to action? I’m looking forward to it as I have many friends off the table who compete alongside me and against me, but I’m more looking forward to improving and showing people that I can do it. Speaking of your friends, there are indeed a lot of junior players now on the tour – how much does it help you to have the junior community that we now have on the circuit? Outside of snooker, we’re all friends and that helps to keep us going on. But on the table we’re enemies, out for blood! The junior community is really great because we are all at roughly the same stage and it’s great to see us all developing and growing as players and people. What are your favourite hobbies away from the baize when not playing snooker? Honestly, snooker is my sole hobby, I don’t really do much else other than going out with friends, just anything a normal teenager would do. Finally, what would you say to other young girls like yourself who might be tempted to pick up a cue and give snooker a try? Give it a go. You won’t regret it at all. Picking up a cue is the first step, we all had to start somewhere. 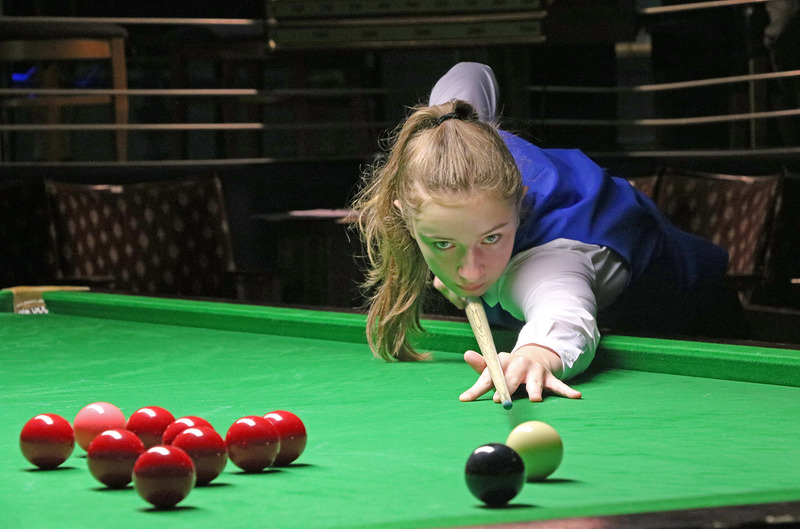 What I’d advise to any young girls that are interested in snooker would be for them to just give it a go, get up to your local snooker club and see how much fun it is. Snooker is a sport where it’s very difficult at first but then when you look back, you improve every single day. The best thing for someone wanting to get on the tour would be to come to one of our events, local to you, and just watch and get involved with the lovely community we’ve got. Thank you to Aimee and best of luck to her for the start of the 2018/19 season which gets underway in Leeds, England, with our new Women’s Snooker Open Day event on 14 September, ahead of the 2018 UK Women’s Snooker Championship at the Northern Snooker Centre the following two days. Learn more about how you can get involved and join the circuit HERE.